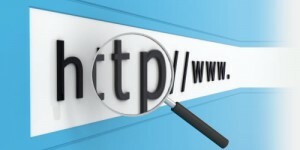 Is it worth buying multiple domains and pointing them at your website? It is commonly believed that you can increase your search engine ranking by buying up lots of domain names (that contain rich keywords) and forwarding them to your primary domain. This article explores how and when this could be beneficial and dispels a few SEO myths on the topic. All websites have a primary domain name. For example “yourname.com”. Some people choose to register one or more secondary domain names and forward them to their primary name. For example “yourname.ca automatically forwarding to yourname.com”. Protecting your brand/domain from other people and companies. This ensures that nobody else will buy a similar top level domain. For example if your name is “Jason Mathews” you could buy the .com and country-specific version (.ca for example) of your domain, to avoid another Jason Mathews from stealing your thunder. You can also buy .net or others, as you see fit. My recommendation would be to buy the .com and the country-level domain if you’re a local real estate agent and not an internationally known brand. Making sure people end up at your primary domain, even if they had a typo. If your name is hard to pronounce or commonly misspelled, I highly recommend buying domains that closely resemble yours or common misspellings. Consider not using your name as your primary domain if you think this would be an issue. If you’re targeting a specific group of people (neighborhood, building, lifestyle, etc.) then you may find that using a more relevant domain name in your advertising will result in higher traffic to your website. People like the work with experts, and if they see the name of their neighborhood in the domain being advertised in the actual neighborhood, they’re much more likely to visit your website. SEO Myth: Keyword-rich domain forwarding to a content rich page on your website will increase your search engine ranking. It’s commonly believed that if you have well-written, unique content on your website about a specific topic and you forward a keyword rich domain (about that same topic) to the page on your website, then you will rank well for relevant terms in search engines. The truth is that there is no SEO impact of any kind, positive or negative. The only time this could be beneficial is if the secondary domain (ex: condosinlowerlonsdale.com) previously resolved to a well-ranking website with relevant content and links, then you purchased the domain and did a proper 301 redirect to that section on your website. Buying up secondary domain names and forwarding them to your primary domain is a good way to protect your brand, catch typos and be memorable. If you’re only doing it to attract search engines, I recommend saving your money and spending some time writing unique, quality content that’s relevant to the users on your website. Feedback? please leave it below. I’d love to hear your thoughts and experiences on this topic.